EnviroLagoon has become the single most successful waste treatment product in the industry in the last 15 years. This easily applied liquid solution was specifically developed to reduce solids and odors of manure treatment facilities. EnviroLagoon goes to work immediately, stimulating both aerobic and anaerobic activity. Increased anaerobic activity rings bottom solids to the surface where faster-acting aerobic bacteria can break them down quickly. By introducing EnviroLagoon into the lagoon environment, you increase oxygen and carbon levels in the aquatic system. This action also reduces odor because aerobic digestion’s byproducts are mostly water and carbon dioxide. 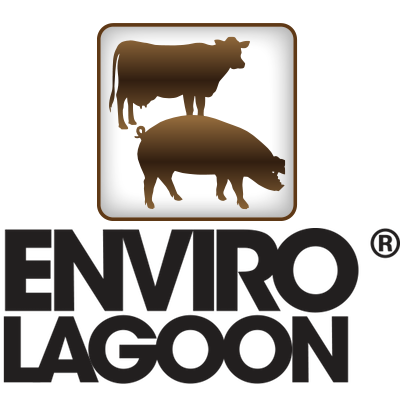 EnviroLagoon also promotes soil health when the lagoon is treated and then land-applied. The treated water aerates the soil, increases water penetration and improves soil fertility, resulting in greater plant production and yield potential. EnviroLagoon is effective in all types of lagoons, pits and waste storage structures of any size, depth or animal loading rate and performs in all weather conditions.